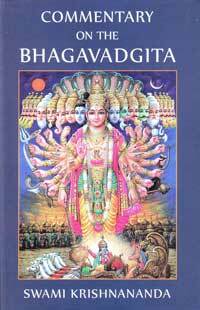 The Srimad Bhagavad Gita is read all over the world, and has also been translated into many languages. Signifying the supreme glory of this divine scripture, Sadgurudev Sri Swami Sivanandaji Maharaj says, "Just as the dark, unfathomed depths of the ocean contain the most precious pearls, so also the Gita contains spiritual gems of incalculable value." Worshipful Sri Swami Krishnanandaji Maharaj, the scholarly saint of our Ashram, dived deep into the ocean of this sacred scripture and culled sublime and soul-stirring spiritual truths. Sri Swamiji Maharaj most graciously shared his wisdom treasure with all through a series of talks given in 1989, and made seekers eternally indebted to him.